Brownies usually meet for 1.5 hours once a week, term time only. During their meetings they take part in a variety of activities including craft, cooking, badge work, improving life skills e.g first aid, community events e.g fairs, fundraising, world events, learning about other countries & their customs. They can go on trips out to farms, museums, zoos, theatre, climbing, bag packing & swimming. Some units also go away for weekends or weeks. In 2014, we celebrated the Big Brownie Birthday which marked 100 years of Brownies in the Girlguding family. 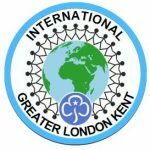 Many special events were held around the world, and we had plenty of our own here in GLK, including a trip to Drusilla’s Zoo Park, a circus day held by Erith & Crayford Division and a Big Splash event held by the Chislehurst Village district. See all about our celebrations by heading to our News page.